SYNOPSIS: At 3:00 am today, the center of Tropical Depression "FLORITA" was estimated based on all available data at 945 km East of Basco, Batanes (19.9 °N, 131.0 °E) with maximum winds of 45 km/h near the center and gustiness of up to 60km/h. It is forecast to move Northwest at 11 km/h. 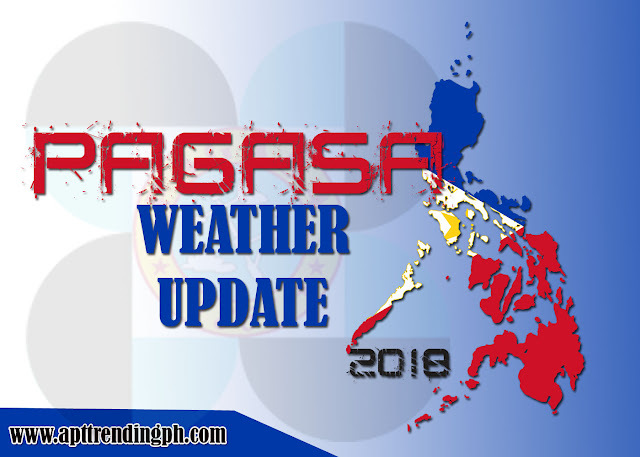 Metro Manila and the rest of the country will experience Partly cloudy to cloudy skies with isolated rainshowers due to ocalized thunderstorms. Possible flash floods or landslides due to light to moderate to at times heavy rains.